Japan is widely known as the nation with the world’s best broadband, and it knows how to live up to its reputation. 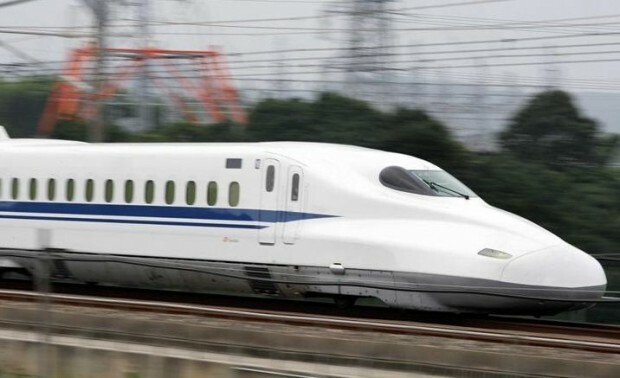 Passengers on Shinkansen bullet trains will be able to access the web via wireless LAN starting March 14. Japan’s No. 1,2 and 3 telecommunications companies NTT, KDDI and SoftBank are among the companies that have launched the infrastructure. Initially, the service will be limited to the N700 series Shinkansen (pictured) that run between Tokyo and Osaka as well as in the concourse waiting lounges of all 17 stations along that route. The companies involved in the project not only hope for demand from business travelers but also from gamers who might want to go online while riding the trains. The maximum line speed is 2Mbps within the trains even when they run at full speed or through tunnels. Speed tops 54Mbps in the waiting loung areas. There are several mobile stations (access points) on the trains that are linked wirelessly with cables placed along the railroad lines.